The head start we got yesterday on this long stage made it an easily doable section. While it rained yesterday from Albergaria-a-Velha to Albergaria-a-Nova, it was raining through much of today too and we didn’t have to do that forest walk in the dark. 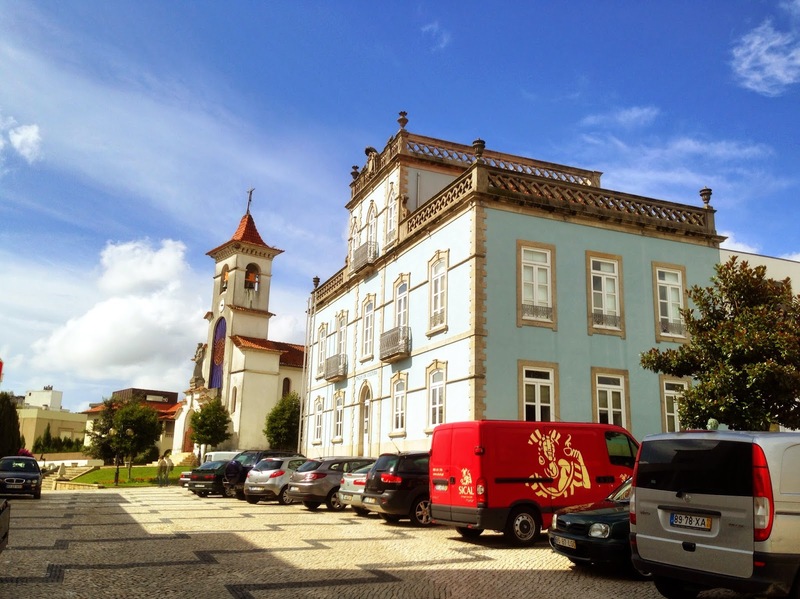 As it turned out, we arrived in the Residecial Solar São João (32.50€ – 35€ for a double, with wi-fi and breakfast) at 2:00pm, giving us plenty enough time to shower, find a place who will do our laundry (we’re getting spoiled / lazy) and eat lunch. One worry that we had this morning was whether or not the taxi we thought we arranged last night would show up this morning. When arranging things in a language that I don’t speak, misunderstandings are easy. There should have been no worry though as the driver pulled up almost exactly on time. He was very pleasant for anyone awake at 6:30am and transported us from the old Albergaria to the new one in just a few minutes. Taxis aren’t cheap here though. Before tip, it was 9€ each way but it was worth it, IMHO. The walk for us was almost exclusively on tarmac today. It started drizzling off and on about a third of the way to São João but we also had some extremely heavy showers at the end. The worst part was the starting and stopping though. When the rains came, we’d rush to get our coats on, only for it to stop as we started to walk again. We’d then take the sauna coats off and five minutes later the rains would start again. This happened more than a dozen times today. At one point, just to confuse us, the heavy rains started to baptize us at the exact same time that the hot sun was still beating down on us. For those following us, the route today was well marked and easy to follow the entire way. 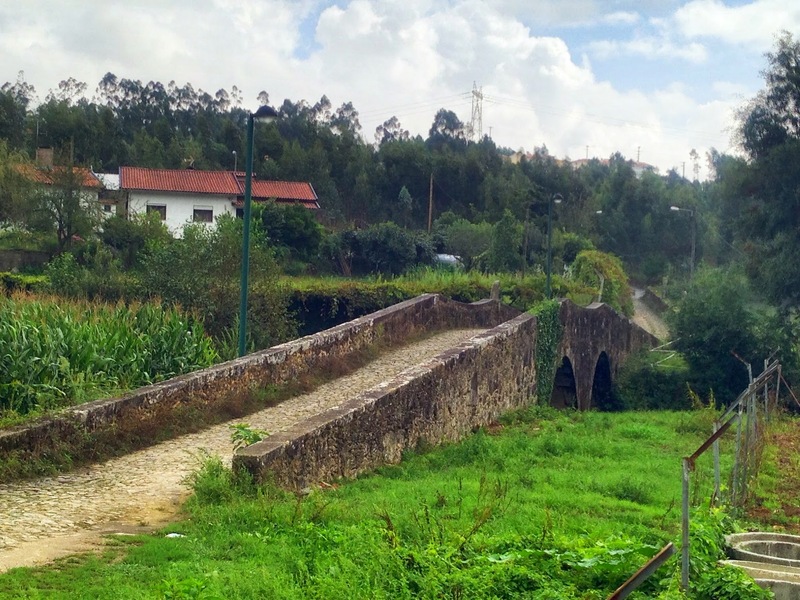 One thing you may want to consider, if you have the time or you want to break up the long routes into Porto differently, stop a day in Oliveira de Azeméis. 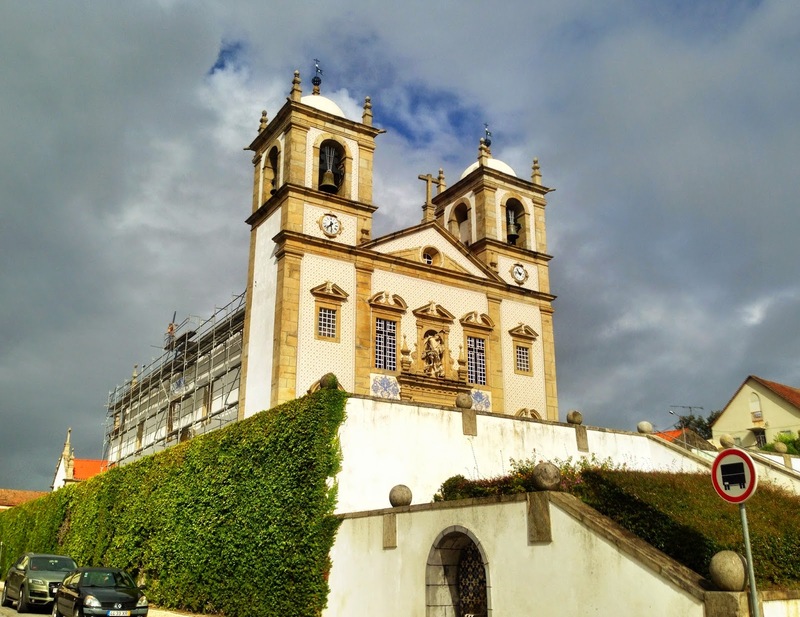 It looks like a great pilgrim town with a large residencial right on the Caminho, lots of small cafés and restaurants, laundry services and lots of history. There is a milestone that you pass near the center of town that is inscribed with a notice marking the road through the town, established in the time of some guy named Julius Ceasar. Not too shabby. You could stop in Oliveira and maybe Grijó before Porto. 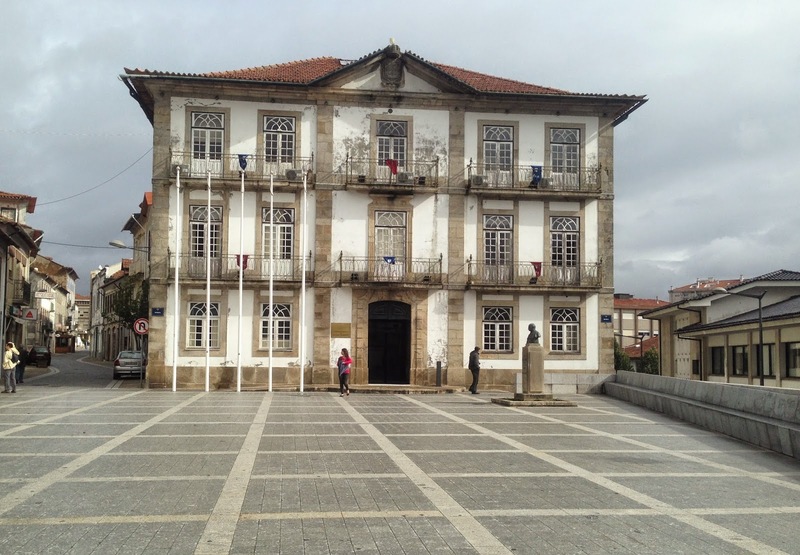 São João is a big, modern city with lots of conveniences but only 5% of the charm or history visible, compared to Oliveira do Azeméis. Another note for followers: we met a young man last night in the motel who was commissioned by the regional tourism board to make recommendations on improvements for the signage and routing of the Caminho through that municipality. I told him the signage was much better than further south but I was all too happy to give him further feedback. One strange thing he said though was that most people he spoke to asked for much more forest trails and ways that bypass towns. Holy crikies Batman! I’d much rather use more of historical routes, as long as it’s not along current highways. 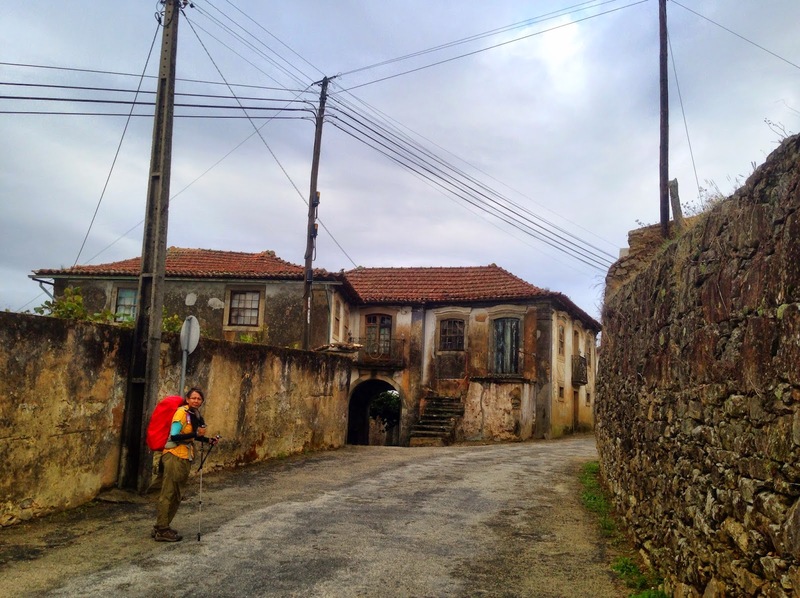 I’m happy to walk forest trails but only where an original or medieval route was not possible and only to join up towns, particularly historical Caminho towns. I much prefer to know that I am walking where other pilgrims have walked for hundreds of years. If I only wanted to walk in the forest, I’d do that at home. I also want to meet people living in these towns, particularly at the cafés where I can get something to eat and drink as well as use a toilet where I’m not bending over a log. One good example of bad routing is around Santiago da Ribe-Ul. The current way takes you down a back lane onto the railway line and bypasses the historic center of the tiny town and its two cafés. 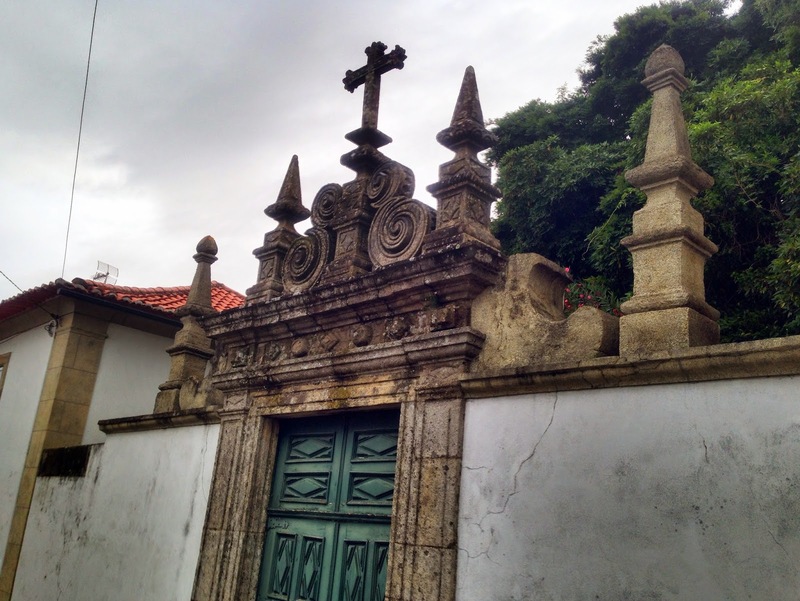 You may walk about 100m less by taking this route instead of continuing along the rural road and turning right before rejoining the marked Caminho near the rail line on your left. 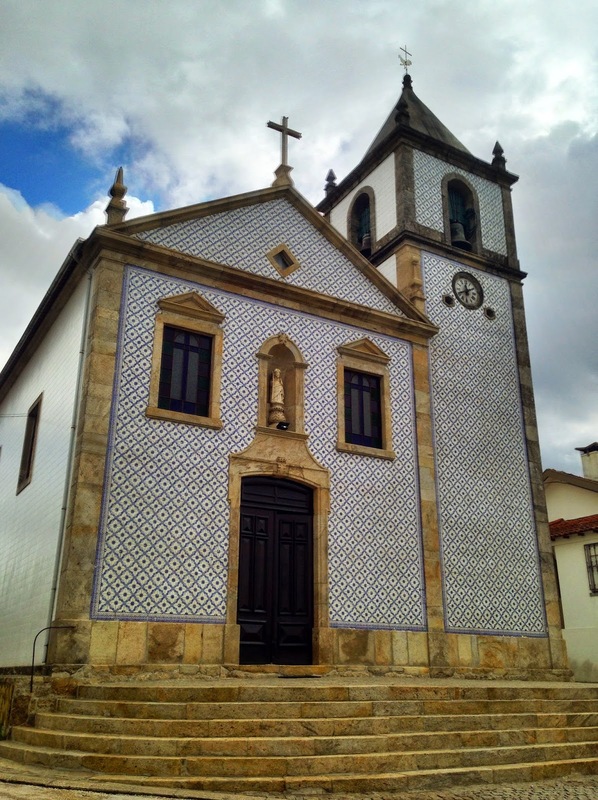 The town has a beautiful church dedicated to Santiago and two cafés which would love a little extra business. Why miss these? On the other hand, there was an obvious loop in today’s walk that took us off a lovely rural road, adding a few hundred meters along a dirt trail. Was it worth it? Yes sir! It took us over a little Roman bridge, probably used by pilgrims. 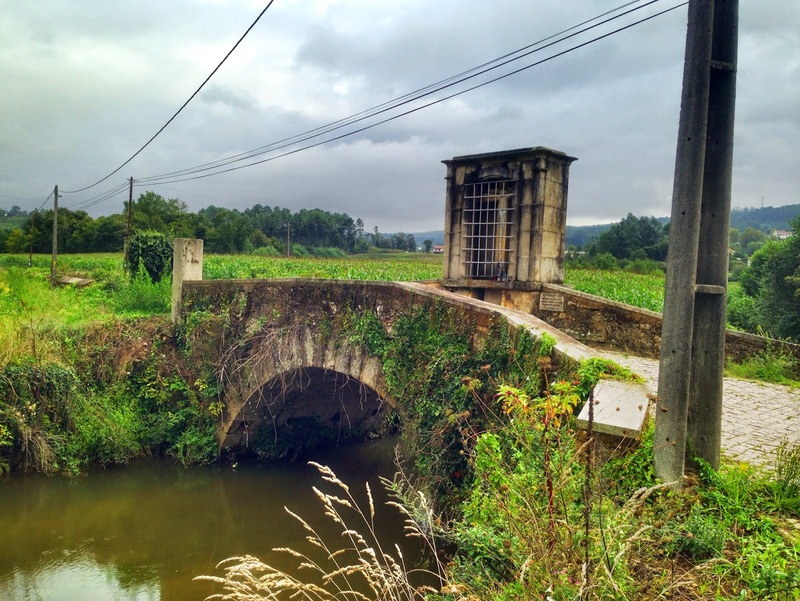 We also got to cross a nice medieval bridge in the valley before Oliveira do Azeméis. Again, the further north we walk, the more we meet people that recognize we are pilgrims going to Santiago, rather than just two (very grown up) kids trapping through Europe. It’s really nice to hear “Bom Caminho” or to get thumbs up from passing truckers. We bought some fruit from a traveling fruitier this morning and another old woman who was doing the same started chatting with Melanie (in Portuguese, of course). The woman was heartbroken that Melanie didn’t speak the language but near tears when she found out we were walking to Santiago. I think Melanie must of reminded her of a long lost granddaughter who has finally found religion. Random thoughts for the day: when walking long distances, it is best not to get any songs into your head, e.g., “It’s a Small World”, “Yellow Submarine” or the theme songs to Gilligan’s Island or the Addams Family. Once in your head, they don’t leave for days. Finally, we have walked past a lot of really cool old houses in the past few days. There are also hundreds and hundreds of houses for sale along the way. 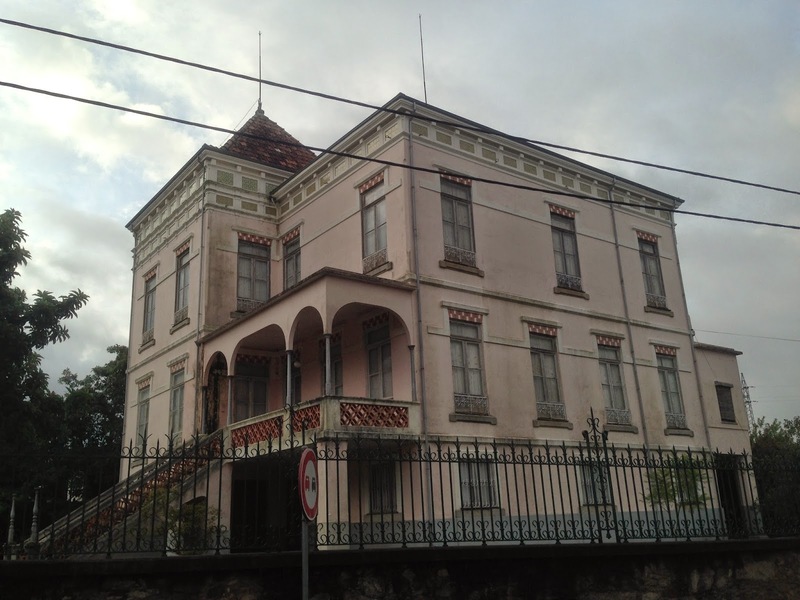 With the market obviously in poor shape, I wonder how much some of these grand old houses are worth. Peace y’all.